3rd February 2016 - No Comments! January 2016 fan art of the month. We were spoilt for choice with January's entries for our fan art of the month competition, We couldn't just pick one! Our Fan art of the month for January 2016 goes to Doris Melendez (Mellen) and Alina Latypova. Doris sent us in her gorgeous drawings featuring Cú, Saoirse & Ben, her artwork will be featured on Facebook page. Alina sent in photos of her amazing handmade Song of the Sea figures! Alina's artwork will be featured on our Twitter page. 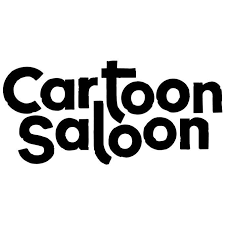 If you would like to enter our Fan Art of the month competition for February, send your entries to fanart@cartoonsaloon.ie. The winning entry will be featured on our Facebook and Twitter pages for a whole month!